Can I Upgrade to an Unsecured Credit Card Once I Reach Fair Credit? The perfect tool with which to boost your credit score, a secured credit card is an excellent way to learn the ins and outs of borrowing money. But once you’ve graduated from bad credit to fair credit — typically a credit score of 630 to about 690 — you may want to upgrade to an unsecured credit card, as this type of plastic typically has a higher credit limit and will therefore increase your purchasing power. And if you keep your balance low, you’ll improve your credit usage ratio, which in turn helps your credit score. Before upgrading to an unsecured credit card, here’s what you need to know to make the process as smooth as possible. Although you can exert plenty of influence by paying your bills on time and in full, your ability to upgrade to an unsecured card may depend on your card issuer. To find out whether you qualify for an unsecured card, be sure to take a careful look at your credit card issuer’s policies and fine print. Some lenders require customers to have a secured card for at least one year before making the switch. Once you’ve determined that you aren’t restricted to a secured card, ask your credit card issuer to upgrade your card. If successful, your card will be upgraded to an unsecured card and your original deposit will be returned to you in full, assuming you don’t have an outstanding balance. If your request is denied, ask your credit card issuer how you can improve your chances of getting an unsecured credit card in the future. Another option would be to apply for a new credit card. One word of advice: Every time you apply for a new card, an inquiry is made into your credit history, which shaves a few points off of your credit score. It’s therefore best to apply for a new unsecured card only if you know that your shot of getting approved is good. In a dream world, other credit card issuers would take notice of your improved credit score and start extending offers your way. If that happens, and your application ends up getting approved, you could shut down your secured account and collect the original deposit. Keep in mind, though, that it would be better for your credit score to keep that account open. If your secured account’s annual fees aren’t too steep and you don’t desperately need those deposit funds, consider keeping it open. Just make sure that the account doesn’t carry a balance, as the interest will add up quickly. Upgrading to an unsecured credit card is a big step and is proof that you’ve worked hard to improve your credit score. Taking note of the aforementioned tips can help you avoid roadblocks along the way. 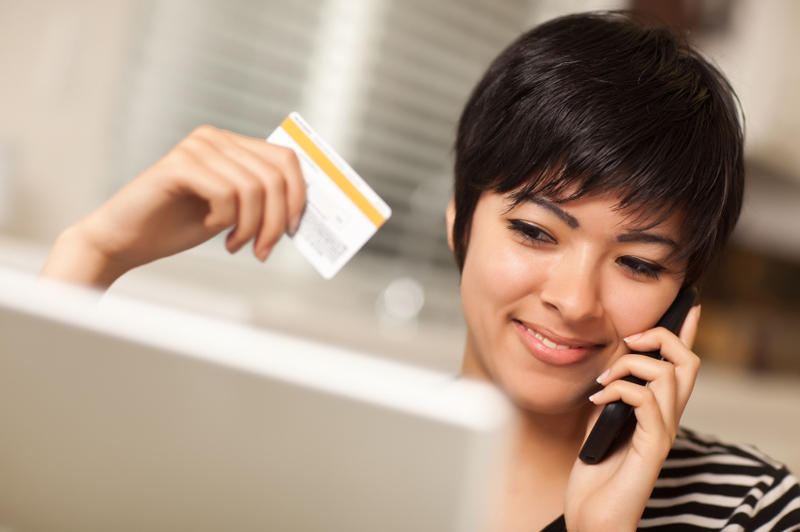 Woman with credit card image via iStock.